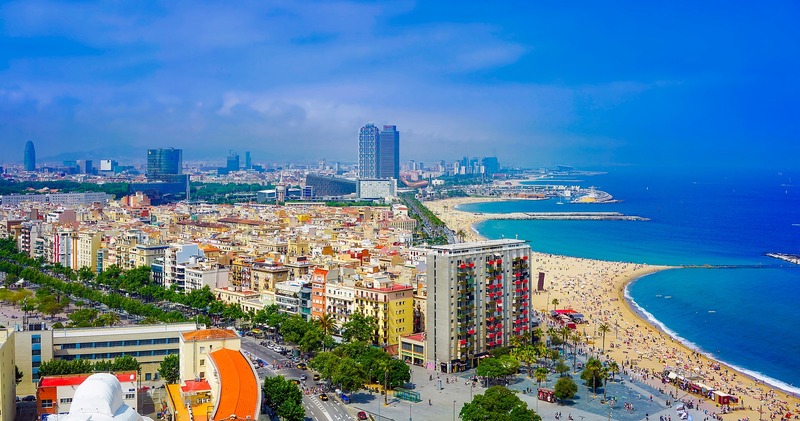 It’s no secret that sunny Barcelona has become one of the most popular destinations for tourists and for those looking to stay on a more permanent basis. If you’re thinking about travelling or moving to Barcelona, you may realize that as you start sharing your plans with others who have already met the capital of Catalonia, a very common phrase you will receive as feedback will be: you will LOVE Barcelona, and they will most likely be right. Over 280.000 expats made the decision to leave their home comforts behind and move to Barcelona, so there is no doubt that it’s a city that attracts many, but the question is: Why? What are Barcelona’s best attributes? To begin with, one of the reasons Barcelona attracts thousands of people every year is the warm climate. With over 2500 hours of sunshine on average per year, the nice and warm weather is listed as one of the top reasons for immigration. The sunny weather leads to the second reason; a huge cosmopolitan city with a BEACH. The beach offers a space for fun and relaxation after a week of working in the city. With a host of beach activities; volleyball, paddle board, surfing, sunbathing, dancing at the beach bars, enjoying a cocktail until dawn, it has everything to transform your weekend into a mini holiday. As a diverse, dynamic, energetic city that never sleeps (except maybe on Sundays) Barcelona offers activities for all tastes. And for the nature junkies out there the list of green spaces in the city is very diverse: you have the Tibidabo Mountain, for example, situated opposite to the beach, perfect for working out but that doesn’t mean it only attracts hiking fans, it also offers a spectacular panoramic of the entire city for anyone who enjoys a view. Parc de la Ciutadella, Carretera de Les Aigües, Parc de Joan Miró, are other green spaces in the city to take a breath of fresh air in, just to name a few. 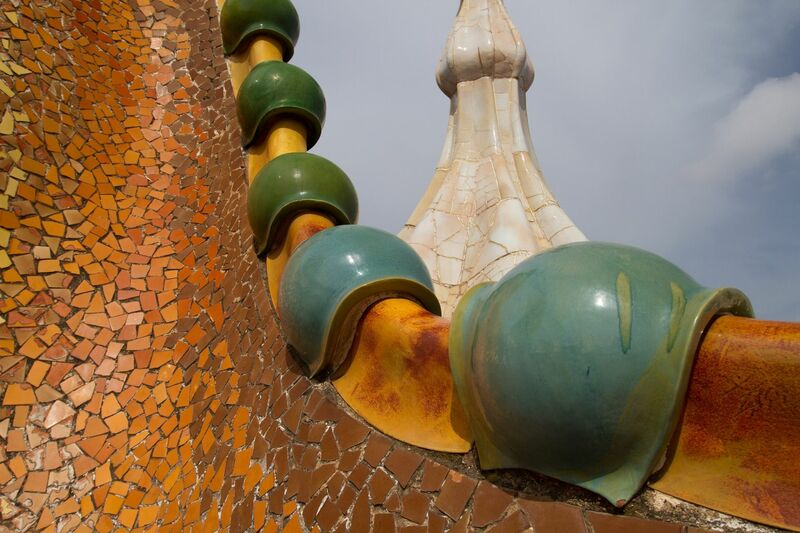 Barcelona is an art lover’s paradise. Explore the famous works of Gaudi, Picasso or indulge in the musical side of the city with classical venues for theatre and for more modern notes, there is a music festival on nearly every weekend during the summer. Tapas, pintxos, vermouth and sangria are overflowing in the city. After work drinks and nibbles are a perfect way to finish the working day- and all at affordable prices. And during the weekends, there´s plenty of options to choose from to dance all night to the best DJs, cocktail in hand. Three years ago, in 2013, Barcelona officially reached Smart City status; becoming the first city in Spain to do so and the 5th overall in Europe. Since then, it has continued to evolve in the pillars that make a city “smart”. From a fantastic bicycle sharing system, to a great public transport network, advanced use of renewable energy and a great technological connectivity throughout the city, Barcelona has it all. The multicultural atmosphere in the city has attracted many international companies that offer their employees an enticing blend of career development with a Mediterranean lifestyle. The best thing about the international platform? They are looking for international candidates! Don´t miss out on your opportunity, Talent Search People can help you find your professional path in Barcelona.